Enhancing your membership program with meaningful value-added features. In addition to furnishing your members with world-class benefits and services at affordable rates, we empower your organization with the latest mobile communication technologies. Imagine being able to instantly broadcast a call-to-action or any type of update or information to your entire member base’s mobile device with just a few clicks. 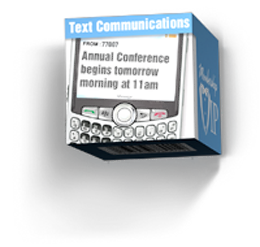 Our communication solutions also include two-way SMS (text messaging) for member surveys that automatically populate your secure database with responses in real-time. We realize that new technologies can be difficult to harness, and that is why our experienced program managers will work closely with you to develop campaigns that deliver impactful results for your membership based organization. Once our member benefit has been distributed, there are a number of ways that your target audience can activate their personal assistance service. Enhance your Membership VIP benefit package with dining certificates that can be enjoyed at over 18,000 restaurants nationwide. 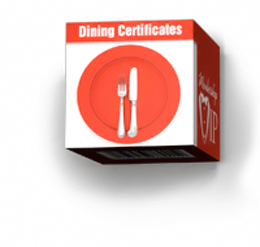 Unlike certificates that function as "buy one get one free" coupons, our certificates are in partnership with Restaurant.com's extensive network and are good for $25 off your members' total restaurant bill. 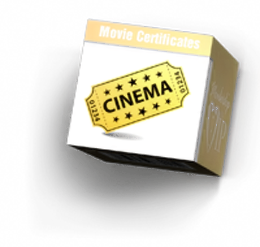 The certificates can be a one-time offer to members, or a part of a monthly benefit package that is delivered by e-mail. Another benefit that is sure to make your members happy, our movie tickets are good at virtually any movie theater for any showing. Members simply select their area theater and print their ticket which has up to a $12.00 value. Also available as a one-time offer to members, or a part of a a monthly benefit package that is delivered by e-mail.